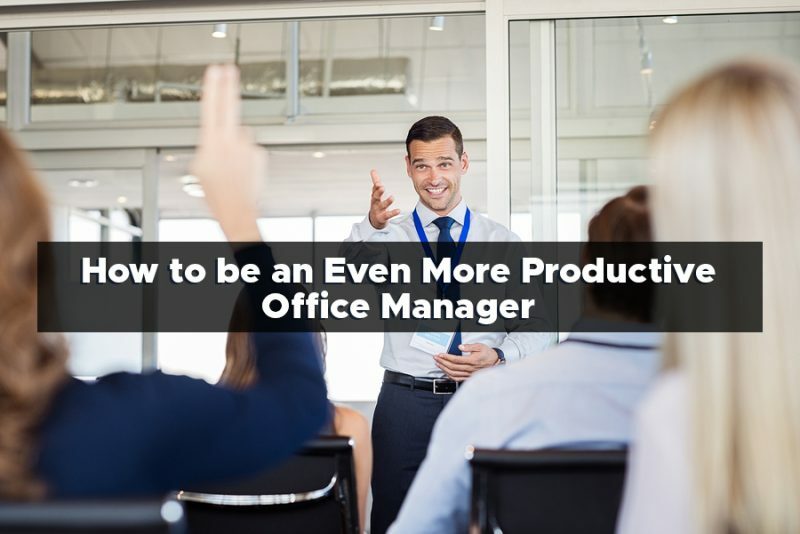 Office managers are the heart and soul of a company, and they are what keeps the growth of the company headed in the right direction while overseeing all the critical day to day operations and so much more. So, it is only fair to assume that they will want to find as many ways possible that they can become more productive and more efficient at what they do. Just because you are the office manager, it doesn’t mean you have to feel as if you have to take on everyone’s job as well as your own. Delegation is a critical skill to master as an office manager. Outsourcing certain jobs is also another way you can free up your time, so you can focus more on what you really need to get done. 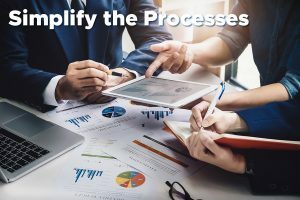 You can even outsource tasks such as cleaning and maintenance to an outside vendor, so you can be assured that the office will be clean and organized and you don’t have to add it to your already extensive to-do list. 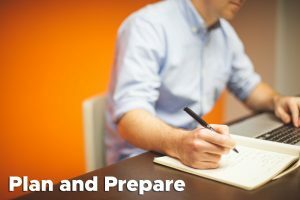 When you make a plan and prepare for the plan, you will find that the organization is key to not wasting a single moment of your day. 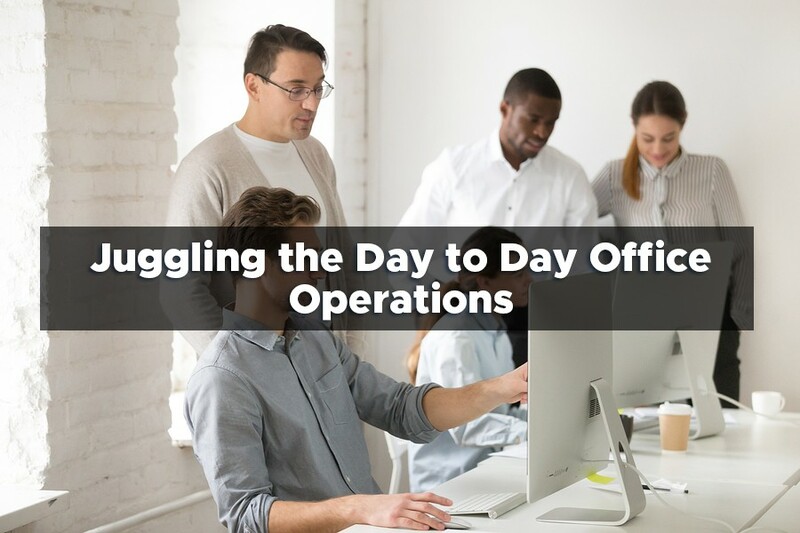 Office managers are constantly interrupted, and when you make a plan, you can also account for a little extra time to cover those interruptions and disruptions you may experience throughout the day. Prioritize your tasks for the day and then do what you can. Don’t feel as if you have to answer every email and every phone call immediately. Do what you prioritized first, and then go back and cross off the smaller items. As an office manager, you may be too busy to realize that you are too busy. Meaning, you might not be able to see how your workload may be affecting your overall productivity levels. Take some of the tips mentioned above and give them a try and see if by freeing up some time, delegating and outsourcing tasks, and prioritizing tasks will help you get more of the important things done while still keeping communication open with the other employees that may need you. 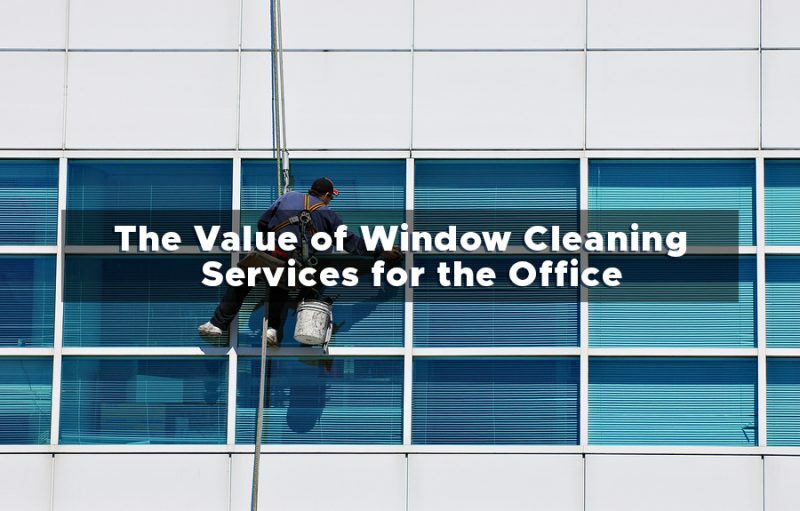 Window cleaning is one janitorial aspect of office life that can be easily overlooked among the hustle and bustle of other daily tasks and smaller cleaning jobs. 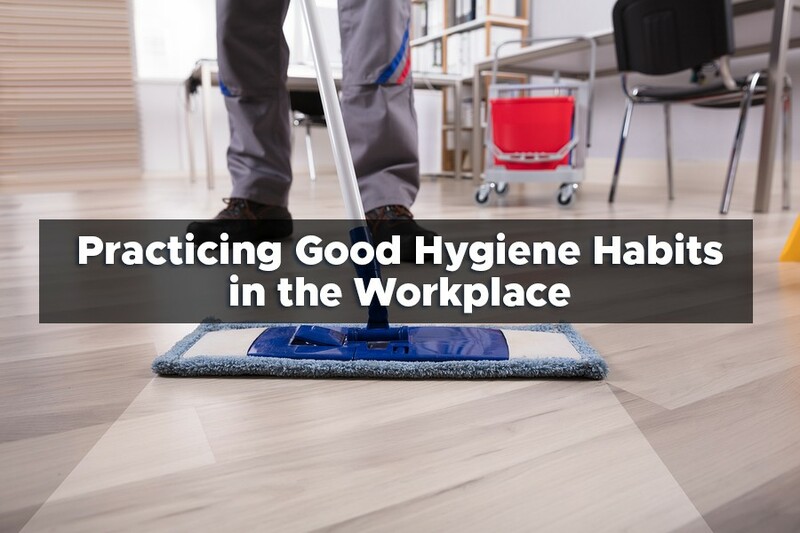 However, it is one of the most important places to remember to clean regularly because the windows of the office are just one of the many visible features of the building. One of the biggest advantages of window cleaning would be the increased curb appeal you offer the office space. People will walk up to the building and see a business that takes pride in what they have which will also translate to a more professional level with their reputation and performance. It will go a long way to improve your brand image and leave a positive and lasting impression on clients or potential clients visiting the office. Another advantage of regular window cleaning services would be the increase in productivity levels you see. The clean windows will let more natural light into the space, and the clean and fresh appearance and brightness will have your employees performing at optimal levels. As with regular maintenance on nearly anything in the office from the carpet to equipment, regular maintenance and cleaning of the windows can go a long way in improving their durability and lengthening their longevity. Cleaning them often gives them no time to accumulate dust, dirt, and other debris, which when left unnoticed can result in earlier deterioration of the window and insulation. 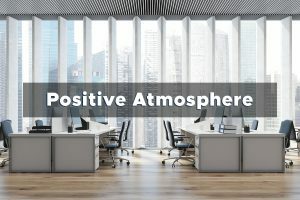 Just like when the productivity is improved, you will also see a boost in energy and morale in the workplace due to the presence of the natural light and the unobstructed view that clean windows can offer an office space. Gone are the days of dingy and muddied windows that do nothing but cloud the office vibe. Clean windows provide the office with a more positive atmosphere that is conducive to a more productive, energetic, and healthy workplace. Many businesses find that there just is not enough time in the day to accomplish everything they need to do. Therefore, hiring a professional cleaning service to come in and take care of the window cleaning for you can save you both time and money in the long run and you can begin experiencing all the advantages that cleaner windows have to offer. 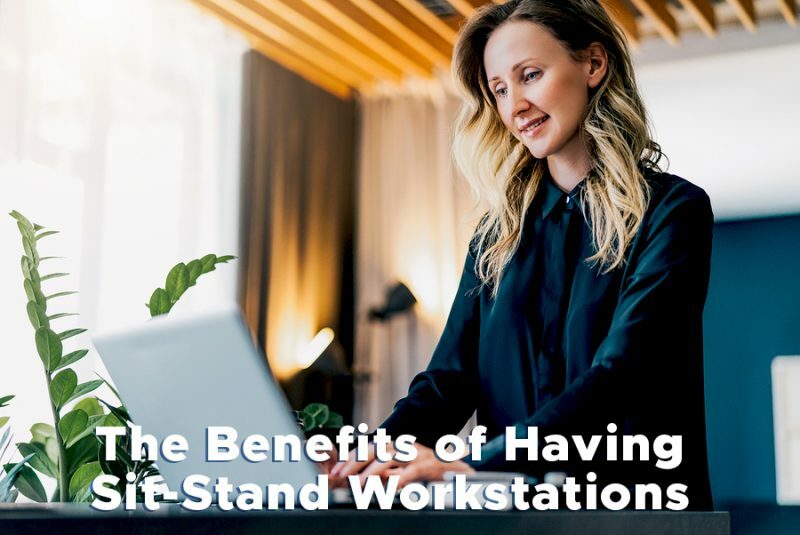 The office environment is seeing many new trends when it comes to workplace design and functionality, and among these trends, we see growing popularity for the sit-stand workplaces. When an employee has the option of movement and variety, they are essentially avoiding any adverse health effects that they may otherwise experience with the traditional desk. Regular movement encourages productivity and makes for a much healthier and happier work environment. This type of workstation strays from the traditional desks that are often used. This type of desk allows you to stand while still being able to work comfortably at the space and computer. They are also adjustable so that you can find the perfect height as well as alternate between standing and sitting. 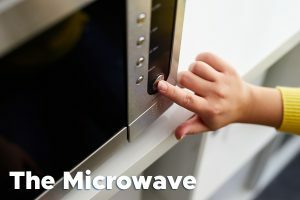 –Lower your risk of weight gain: you can burn more calories when you are free to stand and move around while at your desk. It has been shown that you can actually burn up to a thousand calories more when you stand at your desk, rather than sit. –Improve mood and energy levels: when you are able to stand at your desk, your energy levels will improve which will ultimately improve your mood because you do not feel confined to the space. You are free to move instead of remaining sedentary. So, if you find that employees are looking a bit sluggish and drained, or they are complaining of lower back problems, then considering the many health benefits of a sit-stand desk may be the right decision to improve your employees’ overall health, happiness, and well-being while in the office. Many workplace design trends are currently circulating, and these trends lend to improved employee engagement and increased productivity levels. Newer and more modern workplace design can mean a drastic difference in the way the work day goes and can change the way people work together. 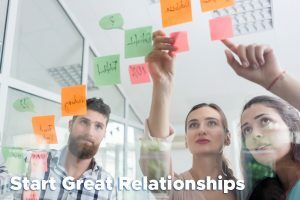 Therefore, it is essential to know what your employees need and want, so you can ensure that they are performing at their best and have higher morale. The days of closed in and isolated cubicles are a thing of the past. Now we welcome a more collaborative and open workplace design for employee engagement and retention. Why is Workplace Design Shifting? 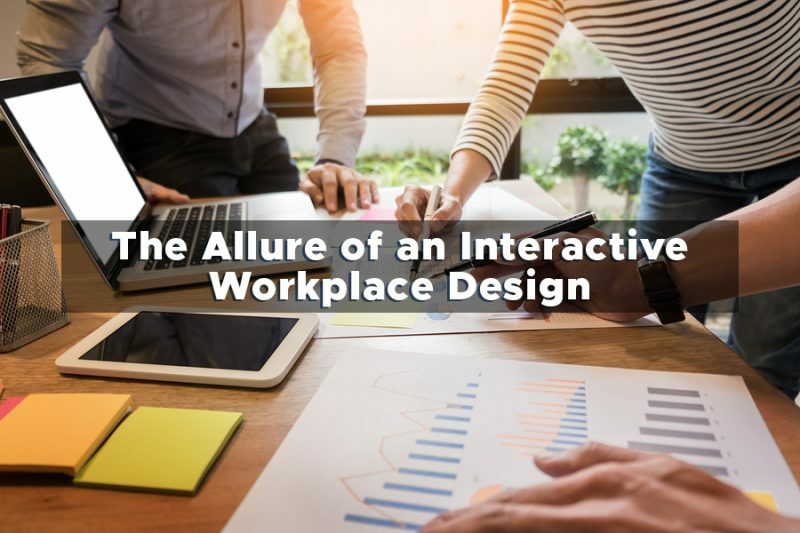 Workplace design trends are evolving due to shifts in demographics, the increasing use of technology in the workplace, a shortage of talented and qualified employees, financial factors, and data from analyses that discovered how design affects their employees. 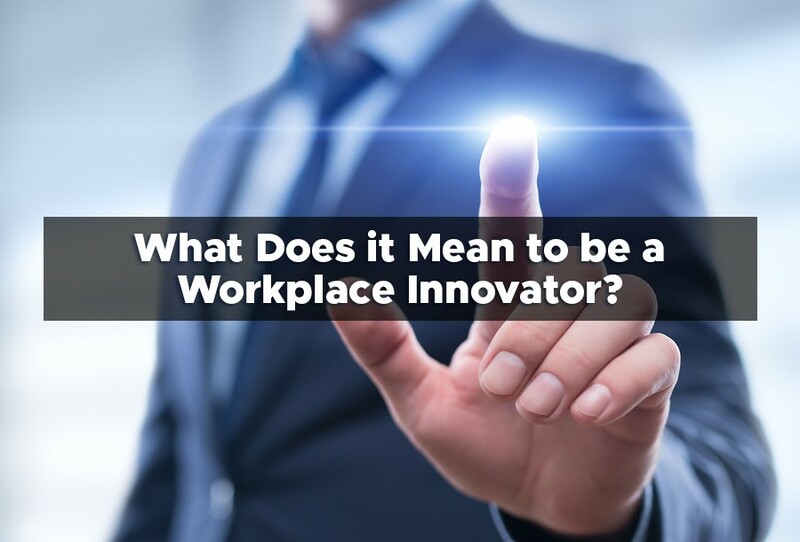 All of these factors came together to show us the need for a workplace design that can keep up with the employees and stay in line with the way business is growing and evolving. Having a flexible and more focused workplace design allows the space to become easily adaptable for the employees. It also allows for room to improve when it comes to the constantly changing needs of the company or the needs of the next big project. For a more interactive setting, having a comfortable and open place for employees to meet and discuss projects is a good way to encourage a social and team-based environment. Have furnishings that come together and work in the space and are easy to move around. 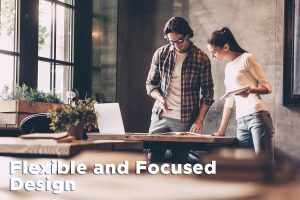 Having an activity-based design means that you are effectively creating a more collaborative environment that provides functional spaces for employees to gather. While you still maintain private office space and conference space, you are also providing an open and inviting space. Having a mix of all these will ensure that you have a functional and versatile space that works for everyone’s needs. These designs are typically modular, just like the flexible design already mentioned. It is a way to have a multipurpose workstation that is easy to access and can be moved to any location that is desired. It can combine the conference room with the open and collaborative environment if needed. Finally, when you come up with a more interactive workplace design, you are also finding ways to improve movement and ultimately improve the wellbeing of your employees. Sit-stand desks are great to include in a workplace because they encourage movement and physical activity. Movement can also encourage productivity, boost energy levels, and reduce stress. If the workplace is not adequately and appropriately utilized, then you may see rising costs and unforeseen expenses. You may find that you have space that is being wasted or you may not have enough space to do what you need to do. Either way, it can cause problems that can be easily avoided with the right workplace utilization metrics in place. 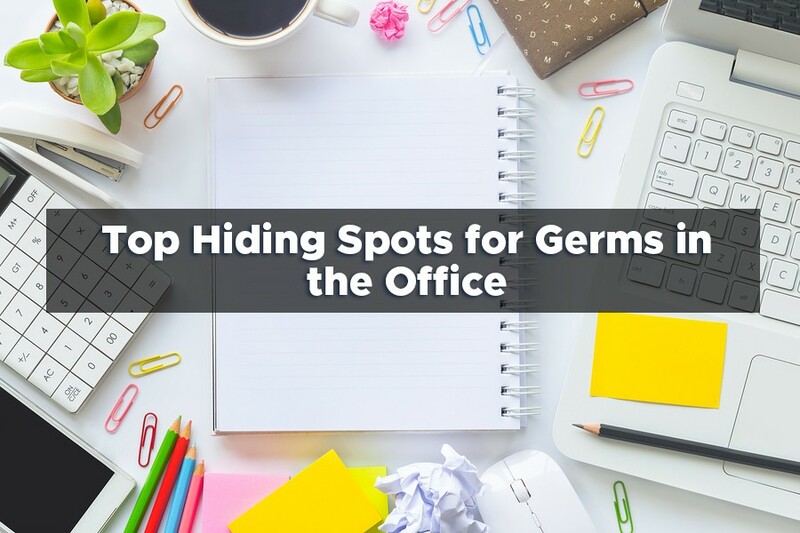 You want to make sure that every available square foot of space in your office building is being utilized as much as possible. Doing so can help provide a more agile work environment that is more conducive to improved productivity. When you walk through the office, what do you see? Are there vacant desks or unused office furniture or machines cluttering the space? If so, will removing them provide you with the opportunity to use the space for something more important? 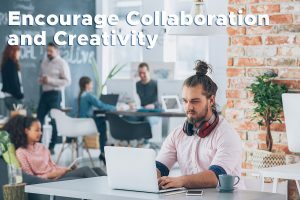 W hen you have an office space that is utilized properly, then you will find improved collaboration among the employees and increased levels of creativity. Make sure you have comfortable and open areas the employees can gather to discuss new strategies or other work-related tasks. Do you have a meeting room available for private gatherings or to provide a more isolated and quiet environment? Having these things all show that you are using your office space effectively so that it suits the needs of your employees. Finally, if you have a space that is utilized to its fullest and provides a comfortable, balanced, and flowing work environment, then employees are more likely to stick around. A modern and comfortable aesthetic can encourage employees to be their best and perform at optimal levels. Now that you understand the importance of proper workplace utilization, you need to know how to measure it. How often is each space in the office used and what percentage of the space is often occupied? What are the times and days that these areas are being utilized the most? Are there times when certain areas are not used at all during the week or the day? Each desk should have an employee- how many empty desks do you currently have? How often are your shared spaces being utilized? For example, conference rooms. Answering these questions will give you a better idea about how each space in the office is used so you can come up with a plan to make these spaces more effective or eliminate these spaces to make room for more productive areas such as a seating area for clients or worktables for a more open and collaborative environment.